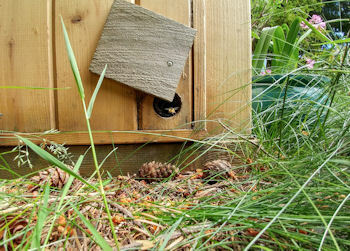 How one lady in Canada created a bumble bee nest box that was safe from persistent racoons! In 2017, I received an email from a lady in Canada, asking for advice about how to make a bumble bee nest 'racoon proof'. I have no experience with racoons, but suggested some form of 'caging' to protect the nest. The lady in question built on her experience of the nesting bumble bees and persistent racoons, and came up with her own brilliant solution, which she has kindly allowed me to share with visitors to this site, along with photographs. 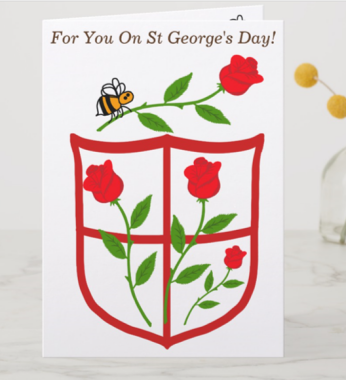 The lucky bumble bees in this lady's garden can now raise their colonies safely - and in 'bumble bee luxury'! I'm afraid our raccoons are immensely clever, curious and strong, and even a cage likely would not deter him but I will try! that. Seeing where they've nested this year has given me a sense of what our local bumble bees like, so I hope to build on that knowledge. I was thrilled to hear from Susanna again (June 2018), outlining in detail, how she had solved the problem. She kindly said; "Please feel free to use my photos and solution. 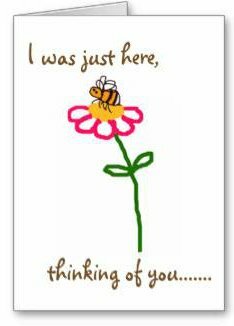 It would make me very happy to know that someone else has been able to help their local bees by building on my idea. :)"
You may recall that I wrote to you last year (email string below), desperate to solve my racoon predation problem. Well, so far this year all is going well with the one house I'm sure is occupied by bumble bees. 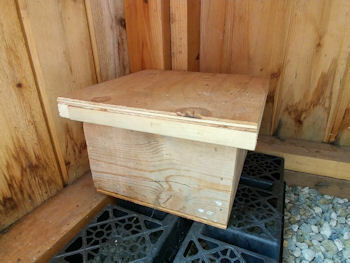 My husband built me a single compartment wooden bee house, to which I attached the recommended black hose. The hose leads to a bit of crumpled up chicken wire, on top of which I put a bed of old-fashioned upholstery stuffing. I put the house inside my wooden greenhouse, with a hole drilled in the wall to allow for the hose opening. The greenhouse has a Dutch door - I keep the bottom half of the door closed at all times, and the whole door entirely shut beginning dusk! I have left a fairly large swath of ground around the bumble bee entrance au naturel. Apparently, it isn't just bumble bees who love that - I've attracted every manner of fascinating creature to that patch! I've attached two photos so you can see my arrangement. It took a while but I managed to get a shot of a bumble bee entering. We have an exceptional number of bumble bees this year. (I live in a small agricultural community outside Victoria, BC, Canada). It is a miracle to behold! One of the neighbour's birdhouses has even been occupied by some but the Red-breasted Nuthatch nesting in the birdhouse one tree over has actually been preying on those bumble bees. Quite something to see her nerve! It's fantastic to learn of success stories such as this, and I'm sure it will help other visitors! It also shows that home-made nest boxes can be very successful and attractive to bumble bees (this lady has made considerable effort, and has been rewarded by our grateful buzzy friends who have taken up residence!). If you don't have DIY skills to create a wooden nest box from scratch, you could pruchase a ready made bird house, and adapt it with a hose.